By identifying IP addresses, it has been determined that Kevin Durant has posted here 8 times... all under different accounts. Man. I thought i was kevin durant for a moment. Then i realized i only have seven accounts. SlyPokerDog, TorturedBlazerFan and TBpup like this. Really? Well thats cool you got yours! I don't remember if we even saw any workers to ask. Well he probably has about 10 burner phones too. Really about 90% of the forum is KD talking to himself. Orion Bailey and TBpup like this. rotary111, BBert, SlyPokerDog and 2 others like this. Your posts are here, nothing was deleted. Yeah. I fucked that up. Sorry. Your still in the doghouse though. You ARE already in the doghouse. Wanna muzzle too??? 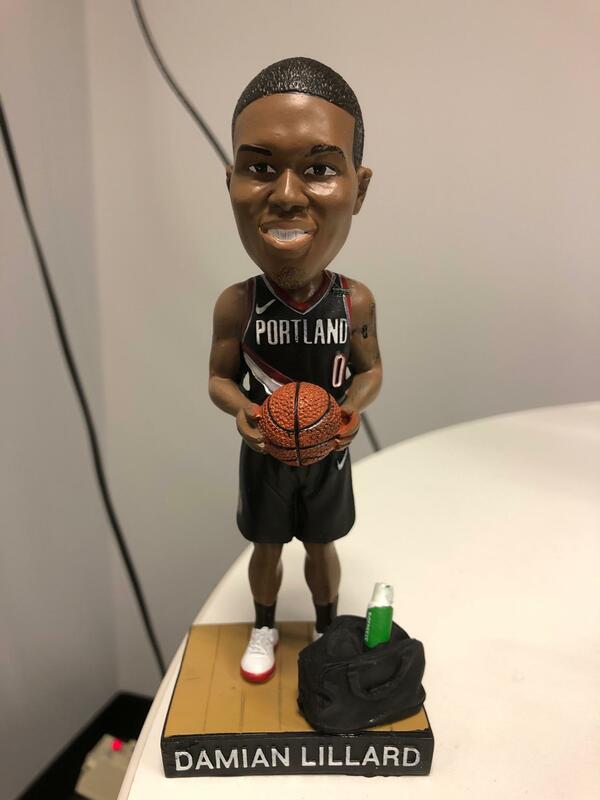 I currently have over 1,000 bobble heads - NEED this Dame bobble for sure!